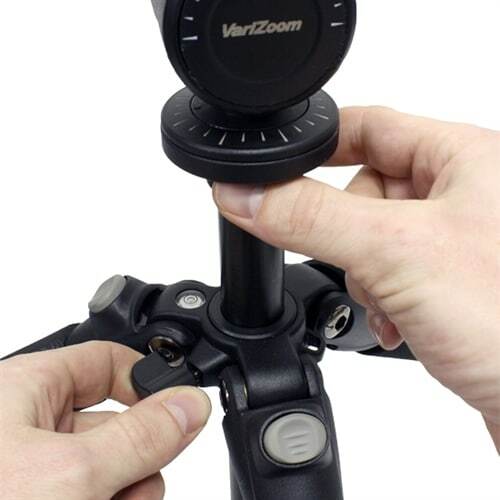 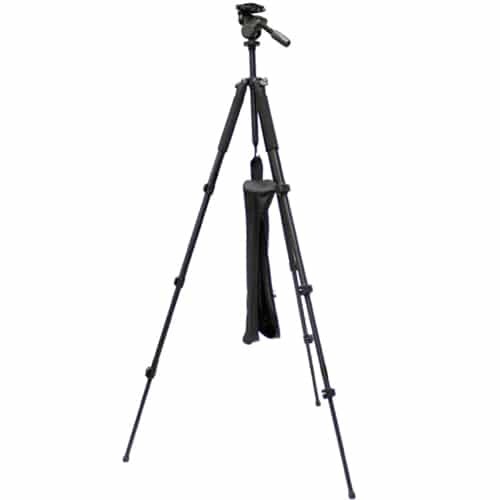 VariZoom VZTP1568 | Photography Tripod | Supports 15 lbs. 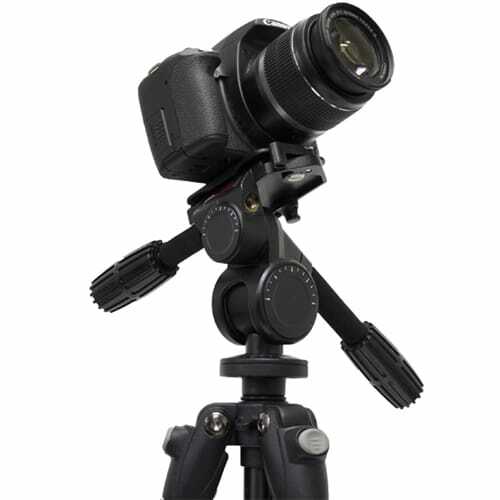 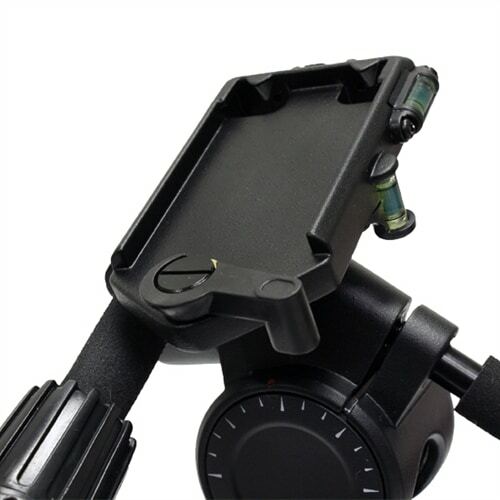 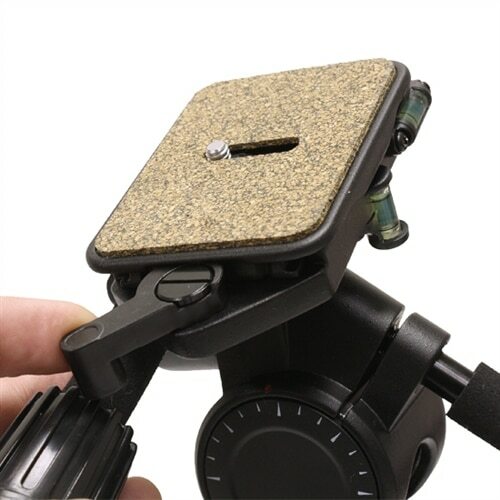 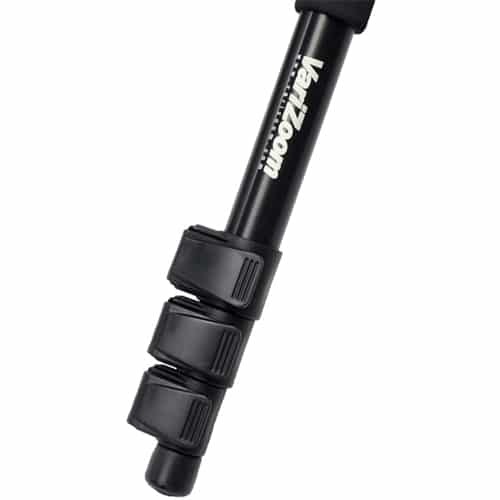 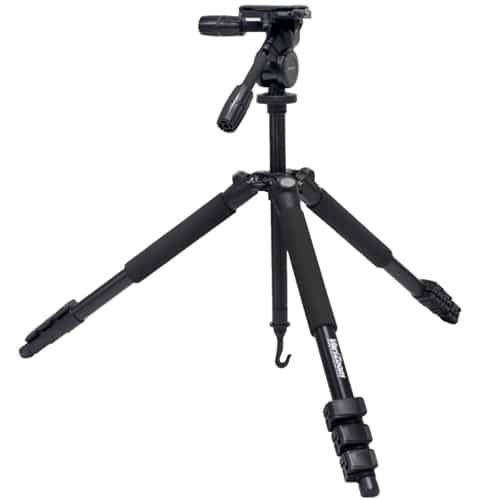 The TP1568 is our professional heavy-duty tripod for DSLR or film photography. 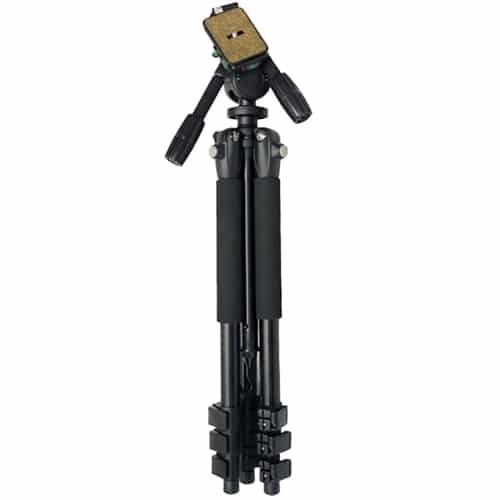 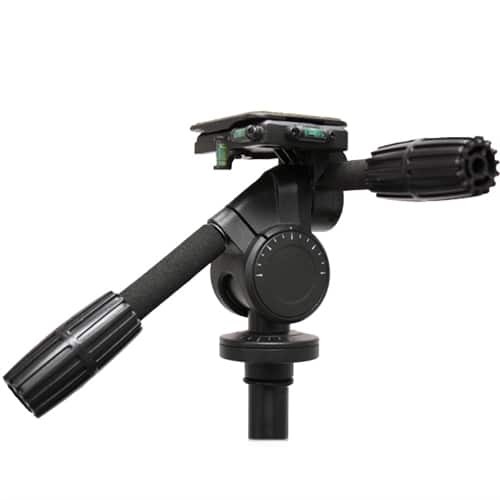 The pro style 3-axis/2-handle head w/ quick release, high capacity 3-stage legs, adjustable center post w/ hanging hook, and low angle capability (to 10″) make this tripod a must for any professional photographer. 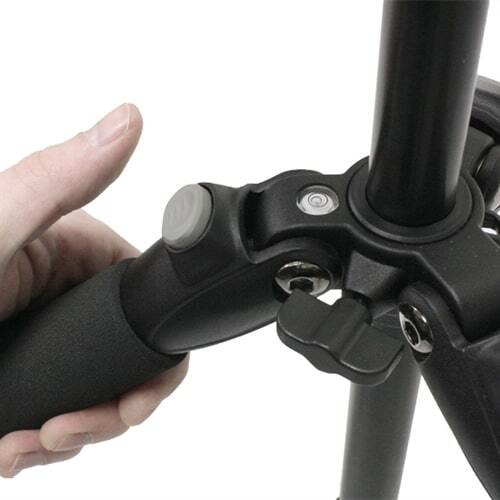 Other features include removable center post and cushioned grips on upper legs for comfortable handling. 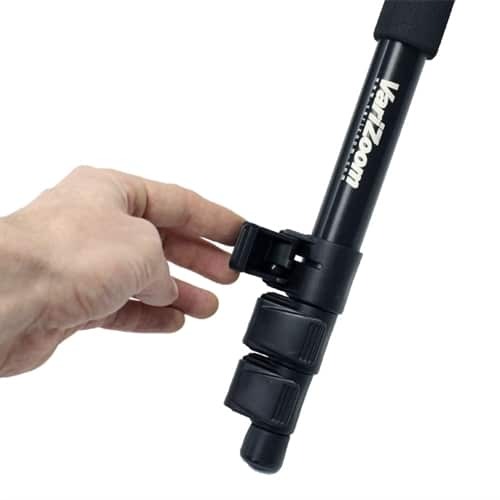 A protective carrying bag is included with purchase.